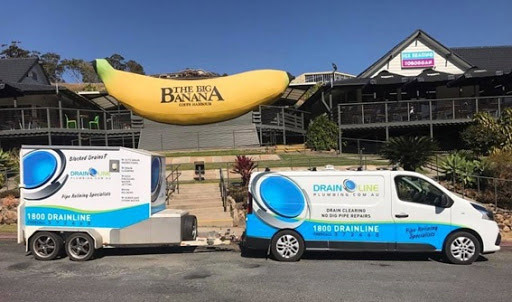 Drainline now servicing Coffs Harbour and surrounds! We are pleased to announce that Drainline has expanded to Coffs Harbour. We now offer services to NSW which include Port MacQuarie, Grafton, Nambucca Heads and Armidale. Drainline are specialists in unblocking and fixing drains permanently. We provide a no dig – no fuss – no mess approach. We provide a comprehensive pipe repair and pipe relining service. Drainline uses highly efficient technology to repair pipes below the surface without the inconvenience and expense of excavation and damage to infrastructure. Blocked drains can be caused by excess or wrong types of paper, grease and fats poured down a sink, leaves and detritus improperly filtered and tree roots. In fact, 90% of blocked drains are caused by tree roots. It’s an unpleasant fact of life and usually strikes at the worst possible time. Do your drains block regularly, are you sick of the inconvenience and expense? We can fix your drains for good. Call us today for a quote. We can help domestic and commercial customers with minimal disruption to your environment. Drainline uses Nuflow products which are cutting-edge in innovation and maintaining and repairing pipes. This gives the ability to repair and reline pipes without the hassle of pipe excavation or causing damage to infrastructure by digging. We aim to help customers repair or strengthen their pipes affordably and easily, with minimal damage to their property. 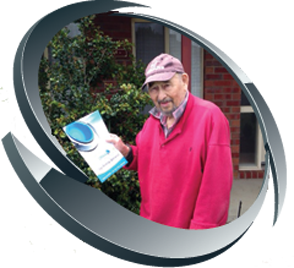 Drainline offers prompt professional service and our staff are insured, licenced, accredited and fully equipped with the latest technology. For more information on how pipe relining works, see this page: Pipe Relining. Trenchless technology is the best option outside full pipeline replacement and allows us to create a ‘pipe within a pipe’. We use environmentally friendly, tested epoxy resins, creating a structural strength pipe, junction or sectional repair – without the need to dig trenches or remove flooring. The seamless liner is impregnated with specific environmentally friendly two-part epoxy resins and a pre inserted bladder spanning the length of the liner. The liner is inserted into the pipeline through an inspection opening or access point and is positioned in the desired location. The bladder is then inflated using compressed air causing the liner to mould to the host pipe, filling cracks, holes and spanning over any voids in the pipeline. The liner can be custom made to length, from 1m upwards allowing small sectional repairs to be carried out or complete mains relined. Utilising the latest technology in cured-in-place pipe repair (CIPP) and relining and “our innovation and skills, you never have to worry about broken, cracked or blocked stormwater and sewage pipes again. We can repair all types of pipes with minimal disruption, including PVC, Earthenware or Clay, Asbestos, Galvanised or mild Steel, Cast Iron, Copper, Concrete and HDPE. At Drainline Plumbing we follow customer-centric strategies to understand and acknowledge the plumbing problems. Responding quickly to our customer’s needs with honest commitment, our team provides the customers with the fastest, the most cost effective and, by far, the safest solutions. We make it a point to treat our customers with respect and consideration. Drainline offers comprehensive pipe repair and pipe relining solutions. Whether you need to fix a blocked drain or are looking for a pipe relining service, our experienced technicians are ready to assist you. Call today to discuss how we can be of assistance. Need a Blocked Drain Plumber? A Pipe Relining Expert?